Among rope access companies in Sydney, Atlas Access is consistently rated as the best. Our priority for safety is a key reason. We have a flawless safety record despite many years in the business, and that’s because we take safety very seriously. It’s important for your company, because injuries, accidents, and property damage are all things you will want to avoid. Obviously it’s never a nice feeling when something unexpected and negative happens, and then there are all the delays which follow when a matter is investigated. After an investigation, if you were held to be liable, you could face harsh fines, civil law suits, or even criminal prosecution. Atlas Access provides only personnel who are fully IRATA qualified. We also provide IRATA certification training, so your own permanent staff can gain the skills required to perform their tasks efficiently and safely. Being always cautious and meticulous, we will always be the best choice of rope access companies to meet the needs of your business. Industrial rope access is any work that requires working at heights (or certain other situations) when not supported by a platform that is connected to the ground. This usually means where the worker is directly suspended from a harness or is working on a platform supported by cables, ropes, or other non-fixed means of support. In each of these cases, there are additional safety requirements for the worker to pay attention to. For example, high winds could cause the platform itself to move, and they could also move objects or even people that are on the platform. That’s just one example of the many hazards that rope access qualified personnel need to be attentive to. This kind of work is often associated with window cleaning, the cleaning of building exteriors, and painting. But there are many other situations where rope access work is performed. The work could be anything from rescuing people trapped in mine collapses, inspecting bridges, repairing high voltage cables, or just installing a sign on the side of a skyscraper. Rescue work is the most challenging situation where these skills are needed. We must pay attention to detail in this case while also working as quickly as possible. When people are trapped or injured, every second will count. On the other hand, if the job is rushed and proper care is not taken, the whole scenario can rapidly take a turn for the worse. When we train others to do this work, there is the same emphasis on taking proper care and ensuring that they are working safely and within the proper guidelines. 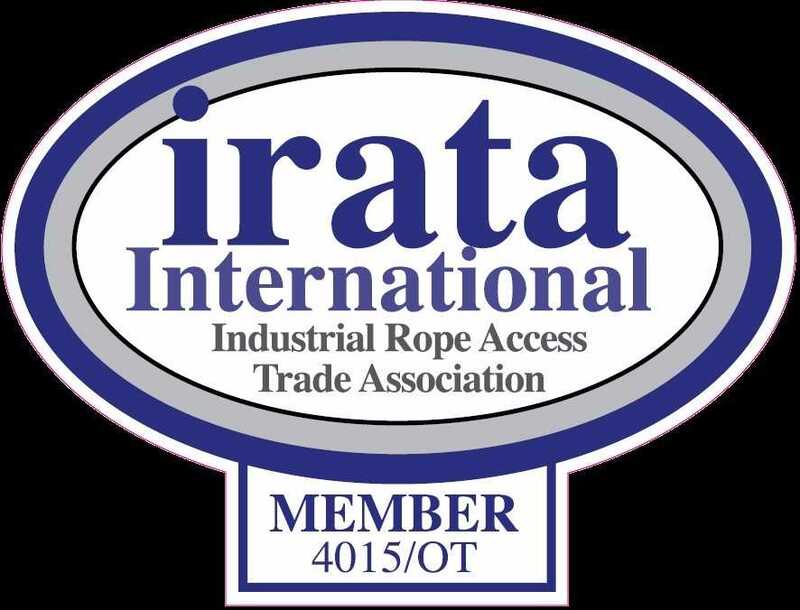 Completing the training will provide IRATA certification which is the most respected qualification for industrial rope access work all around the world. The world has come a long way since the industrial revolution. In earlier times it was legal for the Royal Navy to kidnap people from the docks and press-gang them into service on Her Majesty’s ships. They certainly didn’t have to worry about employer’s indemnity insurance, and if somebody was injured on the job and couldn’t be patched up in a timely manner, well… they’d probably get the old heave-ho and an early meeting with Davy Jones. Today, in Australia at least, workers must be properly trained and qualified for the work they’re required to undertake. An employer who doesn’t take care of this responsibility can find himself or herself liable for much more than the injuries an unqualified worker may sustain when performing a task which requires qualifications. To legally and safely work at heights where any sort of suspension (whether on a platform or otherwise) is required, it’s necessary for employees to have a qualification issued by IRATA accredited trainers. To get expert training and the best value, Atlas Access is the right choice. Out-sourcing to rope access companies like Atlas Access is a good strategy if you only occasionally need workers who carry out work aloft. But if the business you’re in calls for those skills very frequently and over a long term, it is more economically feasible to have your own employees with these qualifications. The benefits go beyond simply enabling your employees to work at heights legally and safely. Those who have completed training in this field will have better safety awareness and better situational awareness than the average worker. They’ll also have a higher level of confidence due to having conquered fear, and they’re very good people indeed to have around during any kind of emergency. 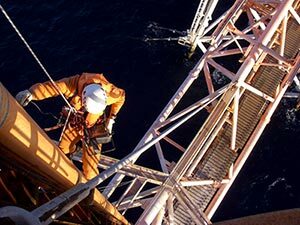 When you just need a job carried out quickly and safely by qualified rope workers, Atlas Access is the stand out choice among rope access companies in Sydney. We have a large, experienced, qualified and motivated team, ready to tackle the toughest of jobs. Because our rope workers are fully qualified and have plenty of experience, they’re experts in what they do. They will get the job done more quickly and with precision. 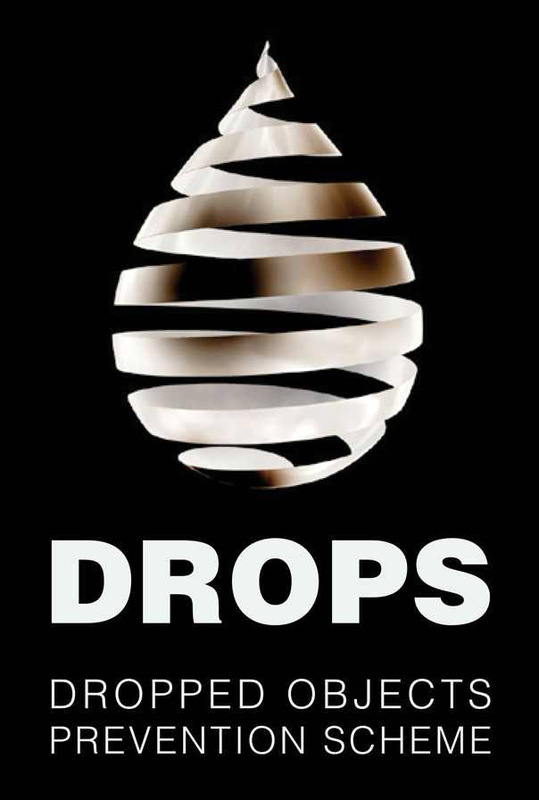 Most importantly, they’ll make sure every aspect of the job is done within the safety regulations. It’s the least costly and most sensible way to get the results you’re looking for, plus it will save you time and trouble. When you choose Atlas Access to work for you on a sub-contract basis, we can supply our own tools and equipment. We also will set up and take down any necessary platform rigging. These works are carried out in coordination with your site supervisor to ensure there are no unnecessary delays or interruptions. To find out more about our services and training programs, contact Atlas Access today.